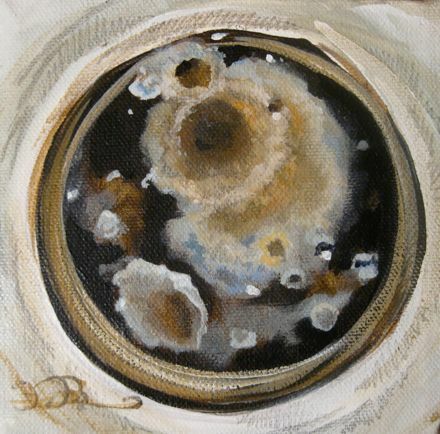 Although it looks like a lovely image from outer space this painting is actually a native plant from the Aspergillus genus. Aspergillus are fungi that we come into contact with on a daily basis and have been used to make life saving medicines and to ferment beverages. The genus name is taken from the way it looks under a microscope- the shape resembles a tool used to sprinkle holy water, an aspergillium.